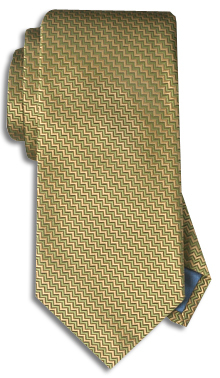 A small, tonal zig zag pattern reminiscent of the Peanuts character's favorite T-shirt. Actually a very cool tie, almost a solid but not quite. Awesome colors. 100% woven silk. Handmade.